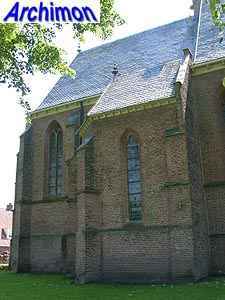 After ca. 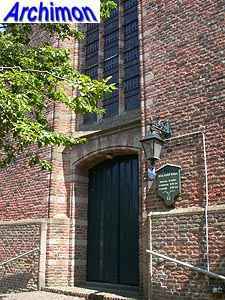 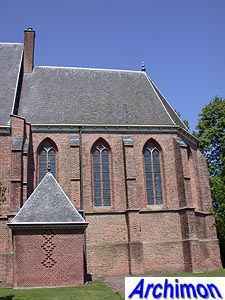 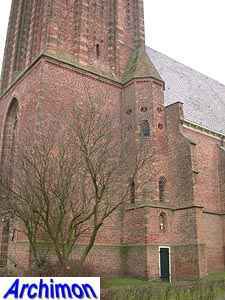 1339 the people of Eemnes, then a part of Eembrugge, tried to break away from the bishop of Utrecht and join the county of Holland. 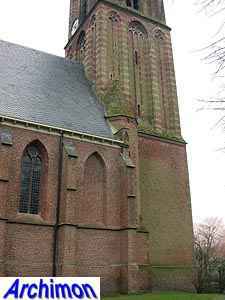 Although all attempts failed, they did build a first wooden church in their village in 1346, which was already destroyed two years later, and were granted town privileges in 1352. 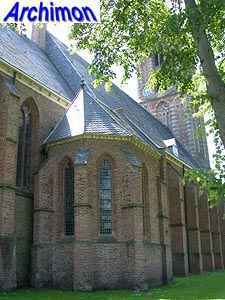 Among these privileges was the right to build a church. 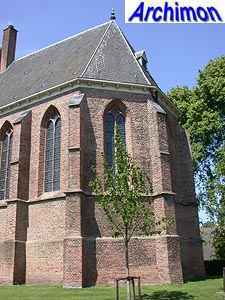 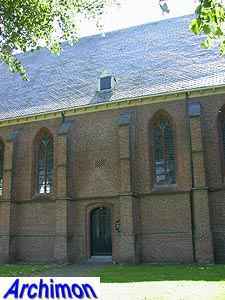 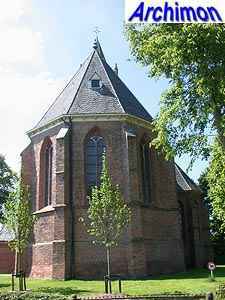 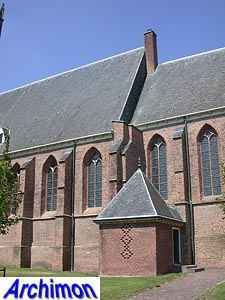 This church was erected where the wooden church had been and was dedicated to St. Nicolas. 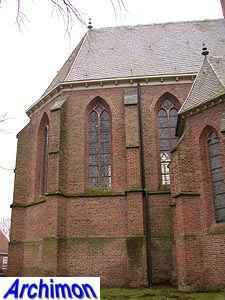 In 1481, during the Hook and Cod wars, most of Eemnes was destroyed. 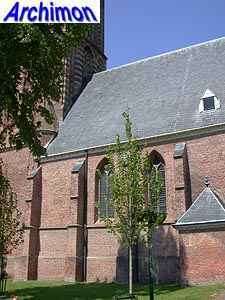 Most likely little of the church survived, but the current nave and choir still appear to be from the 15th century. 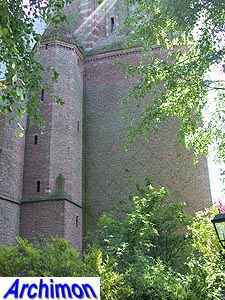 In 1521, after only four years of work, the current tower was completed. 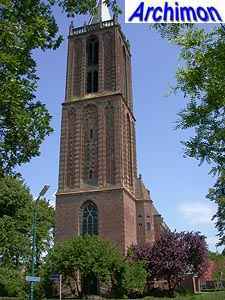 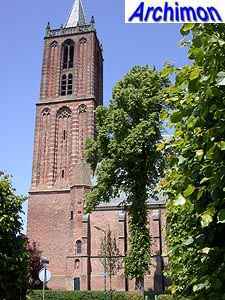 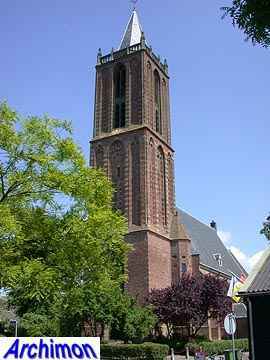 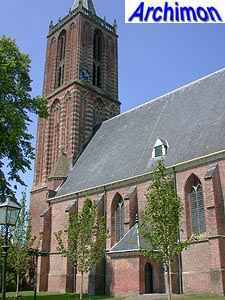 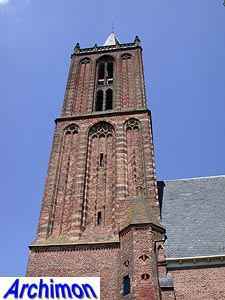 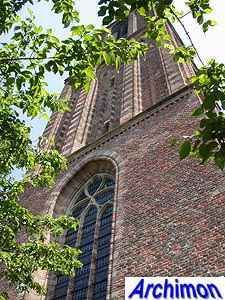 This tower is in a Gothic style typical for the region of Utrecht and is in many ways similar to the one in Amerongen built in the same period. 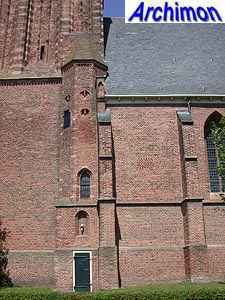 The consistory at the north side of the choir was probably built at the same time as the tower.